Jonathan Mack went into real estate seven years ago, not realizing his claim to fame and amazing sales success would actually come from appearing in his own real estate videos. His move to video and social media was his secret marketing weapon—and it’s worked well. Mack has been recognized for his creative marketing and praised for his real estate teaching. He’s the author of a soon-to-be-released book, “The Ultimate Guide to San Diego Real Estate.” He was born and raised in San Diego, and lives there with his wife Theresa and two daughters, so he had a head start on understanding his market. Break through the noise. With hundreds of REALTORS® competing to sell the same properties, you have to do something to get buyers and sellers to notice and work with you. Convey value. People don’t automatically see your value. They must be shown or taught the value you have to offer. Build trust. People do business with people they like and trust. Be memorable. 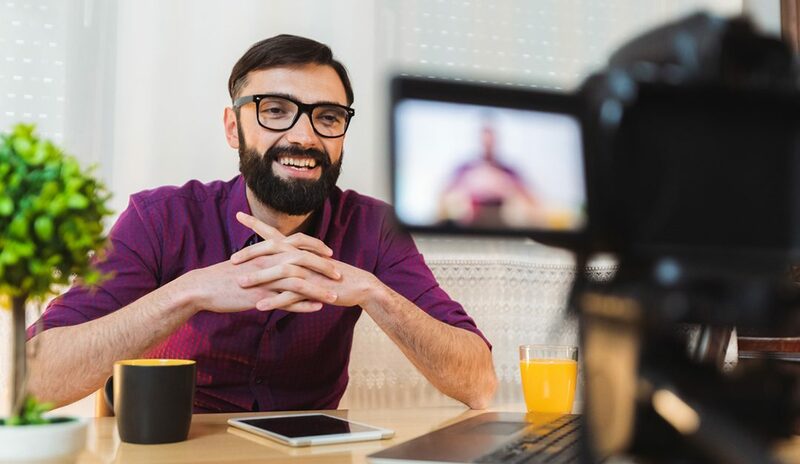 You need more than one or two great videos or ads to be memorable so that when the time comes to buy or sell, you’re the real estate agent or company someone thinks of. Mailers – At one time mailers worked well, but the amount of mail people get, especially in a market saturated with REALTORS®, is overwhelming. It doesn’t get read; it’s often tossed into the trash without being looked at. Door Hangers – Again, once a great approach, but the perception of door hangers now is that they’re junk mail and heavy-handed sales pitches. They’re not read. Email – The filters on most email are excellent—if you’re a consumer. They just go into spam folders and are never read. When you realize old media doesn’t work, you start looking for a new “gold mine”—something with high deliverability and a low cost, something unique and entertaining, personable and authoritative…something you can track to figure out what works and what doesn’t. That’s when you turn to video and social media. A video is a unique, entertaining and personal way to reach potential clients and demonstrate your authority, personality and credibility. Videos are also trackable and offer more engagement—55 percent of people view videos every day. Also, because 55 percent of people pay closer attention to your message when it’s in a video, viewers tend to retain 95 percent of the info they receive when watching a video, versus just 10 percent of information when they read it. Most people never get started creating videos because they allow themselves to be intimidated by the thought of themselves on camera and by the technology and skill it takes to produce a video. The secret is, it’s much easier than you think. All you need to get started is a smartphone with a camera and some free or low-cost editing software. Before you start producing your first video, you have to determine your budget. You can choose to spend a lot of money and have a professional create your video, or do it yourself (DIY) as an amateur. All you need to shoot your video is a video-equipped smartphone, but you can easily upgrade your production with a lavalier mic and a gimbal off Amazon for under $200. Once your equipment is order, come up with an idea and write it down; that becomes your script. If you prefer being spontaneous, just come up with a few talking points for your video and wing it. Determine a time to shoot your video. If it’s not in your schedule, you’re not likely to do it. Don’t worry about perfection. If it’s too perfect, people feel like they’re being sold to and leave after watching the first three seconds. Be authentic. Be who you are, because people love it. Give information about yourself, your company, your houses and your neighborhood. People will see you as an expert not because you know something everyone else already knows, but because you know stuff and you’re the one telling people what you know. Be engaging. Be entertaining. Add color. Add movement. Keep it short. There are a lot of different ways to use video, and how you plan to use a video should influence the decisions you make when creating the video. Evergreen Videos – Evergreen videos aren’t tied to a date, time or season. They’re typically advertisements or something people would want to know any time of the year, such as the location of parks, restaurants or other attractions, schools, or employers in the area. Situational Videos – Situational videos are videos around an open house, listing tour, market update or event. Listing Video Tours – These videos are a walkthrough video of the house—but in a fun, not boring way. Make your videos simple, fun, colorful and engaging—not technical and overrun with tax information and mortgage rates. Remember, Mack says, “Numbers make people think; emotions make people act.” You want your viewer to act—to contact you or schedule a time to look at a listing. For more tips on making videos that get results, and to learn how to use Facebook’s “pixel” process to target your ads to people who are actively looking to buy or sell, watch Mack’s entire webinar. Coming up next month, Sherri Johnson will show you how to build a GoldMine Pipeline™ Strategy for predictable, consistent monthly income. Click here to register. Mark Mathis is VP of Sales for Homes.com. For more information, please visit marketing.homes.com.